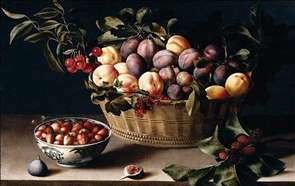 The greatest still-life painter of the French seventeenth century. 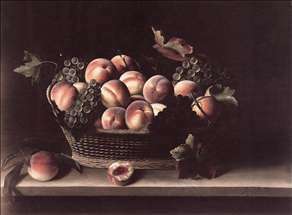 She spent her long career in Paris, specializing specifically in still-life pictures with the occasional figure. She came from a strictly Calvinist family. 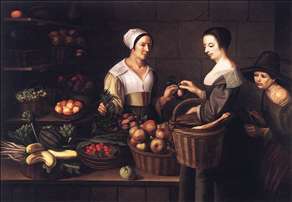 In 1640 she married the wealthy timber merchant Etienne Girardot de Chancourt, also a Huguenot. 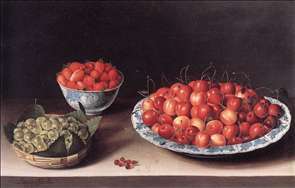 Her technique was extremely refined, and this led, in later centuries, to the confusion of her work with Dutch, Flemish and even German painters. 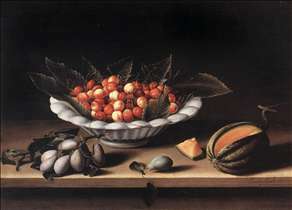 Since four still-life pictures at Grenoble, once given to Moillon, have been reattributed to the Flemish artist Osias Beert, Moillon s art has been redefined. 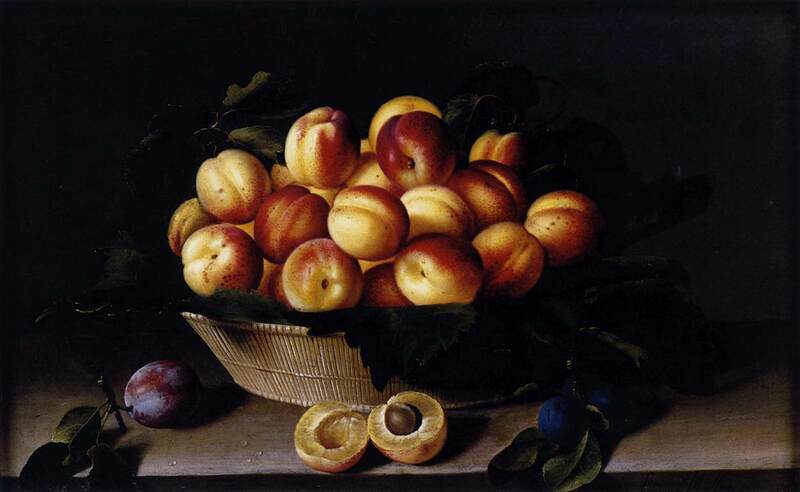 Her best pictures have a stillness combined with acute powers of observation, notably of the texture of exotic fruit, which have never been surpassed. 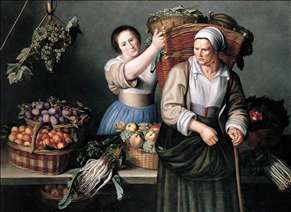 See more details about "Market Scene with a Pick-pocket"
See more details about "Still-Life with Cherries, Strawberries and Gooseberries"
See more details about "At the Market Stall"
See more details about "Still-Life with a Basket of Fruit"
See more details about "Basket with Peaches and Grapes"
See more details about "Basket of Apricots"
See more details about "Cup of Cherries and Melon"